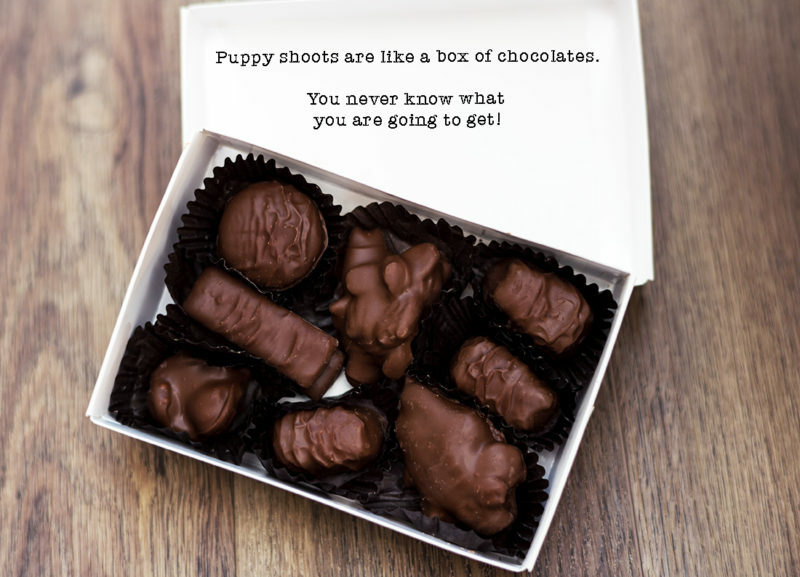 What Does This Box of Yummy Chocolates and a Puppy Shoot Have in Common? The fact that I love both and can’t wait until the next one! To me, a puppy photo session is like a box of chocolates because you never know what you are going to get. 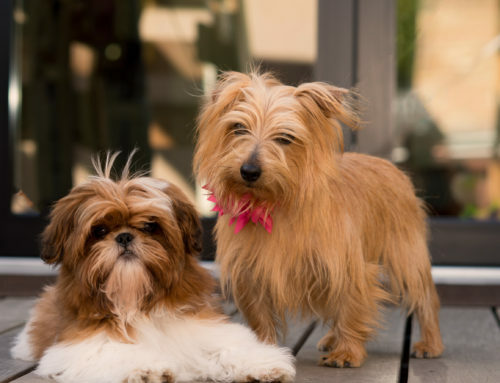 I love puppy shoots … watching the pure innocence of one of these little bundle of fur is pure heaven to me. Puppies take me to my happy place. 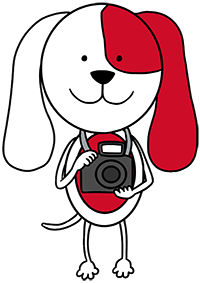 Puppy photo sessions are the most challenging of all my dog photography sessions as you can’t just say sit, stay, or down to these little guys. They barely know their names, let alone commands! This below image was taken of Winston, my latest box of chocolates and this photo was my milk chocolate truffle! The little fur balls are running around just being puppies. Everything is exciting and a wonderment to them. They know they can get away with pretty much anything because they are so darn cute and adorable. Even if they are being naughty you can’t help but giggle and smile. Winston is a 12 weeks old English Springer Spaniel and an absolute bundle of energy! His Dad is a bird hunter and Winston will eventually help him flush out the birds and retrieve for his Dad. Believe or not, little Winston had a pretty good “sit and stay” moment during our shoot, and with my super fast camera I was able to capture the sweet photo of him below. Eventually, before they drop down for a nap there will be a photo opportunity. You just have to be patient and ready for the moment … and who doesn’t love an angelic napping puppy image? Winston is doing my Fuzz to Fur package which includes four sessions until he turns one year old. This means I’ll be sharing plenty of more photos and articles so be sure to check back for updates. Did you have a favorite photo from this session? If so, let me know if the comments below!